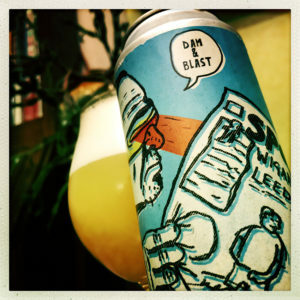 Eyeclops is episode 9.05 in Northern Monk’s Patrons Series and it’s so good that having said I didn’t see any point in writing about New England IPAs anymore, Eyeclops has made me pick up my pen. You see, put quite simply, this may be the best NEIPA ever brewed. The hops – Citra, Lemondrop and Hallertau Blanc – work in tandem with the yeast to bring a massive fresh mango, grape skin, gooseberry, apricot and peach salad flavour, while the malting is smooth and creamy, round and chewy, with shortcake and oaty biscuits, honey and Bakewell tart. The beer feels big and satisfying and there’s a white rum booziness hiding behind the bitter sweet marmalade finish. And so that’s it, I definitely don’t need to write about NEIPAs any more. 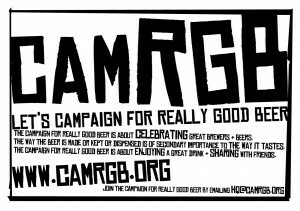 This entry was posted in Beer Review, CAMRGB and tagged Beer, Beer Review, CAMRGB, Can, Canned beer, Drinking, IPA, NEIPA. Bookmark the permalink.